This shows the process of receiving your Deputy invite and what to do after you accept it. 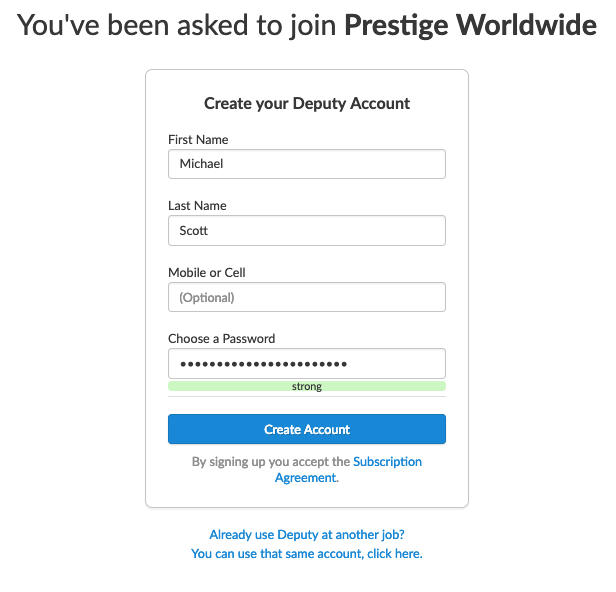 To join your company on Deputy, you will need to provide your email address to your company. This email contains a link, and a Kiosk PIN if your company decide to use the [iPad Deputy Kiosk] application. Click the link and you will be directed to the account creation page. This is your main Deputy page, which will show you the company you work for. This is the confirmation that you have joined the company. You will also receive the following email confirming the creation of your Deputy account. 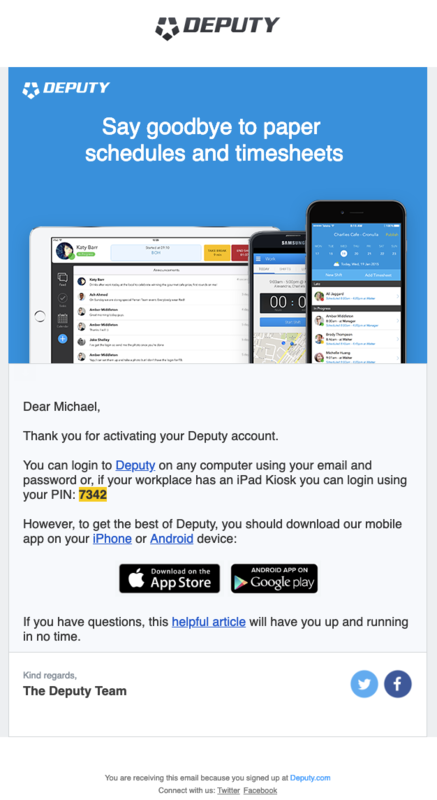 This will have a link to Deputy, your Kiosk PIN, and links to our iOS and Android Deputy applications. You can learn how to use the mobile applications here.